The battery was excellent, as required, A special mention though must go above all to the unbeatable prices and fast and efficient services of Tayna batteries. Excellent. Fast delivery and exactly what I asked for. Easy to fit too, and came charged. Service and product first class you can buy from Tayna in my experience with full confidence what you ordered will be delivered next day. A very good product and a very good service would recomend, a very good next day delivery, efficient customer service. Very speedy delivery and well packed. Direct replacement batteries so easily fitted. The batteries arrived on time as promised complete with small bolts to make the connection to the cables, it was done in a moment, there was enough power in the batteries to give the scooter a test, I put them on charge they were fully ready in a few hours. and has been working perfectly ever since. many thanks for your great service. Barry. The usual excellent and fast service from Tayna batteries. It will take seevral months to find out whether these batteries have the expected life in a heavy power chair. Sonnenschein have a good reputation and these batteries were priced competitively. Very robust but seems quite heavy for the AHr rating. Excellent site well laid out and easy to find the right battery. Speedy delivery. 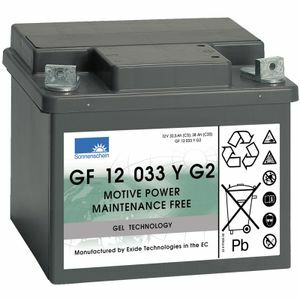 Would recommend this site to all searching for batteries! Excllent fast service along with good price. My second purchase. Good technical information on your web pages making the choice easier. Next day delivery spot on. Thanks Tayna. First impressions are very favourable, 18 holes of golf on a quarter of the capacity. It needs a carrying strap for safe handling. thankyou' delivered as scheduled; well packed and wouldn't hesitate to order again from tayna. Good sevice and fast delivery.